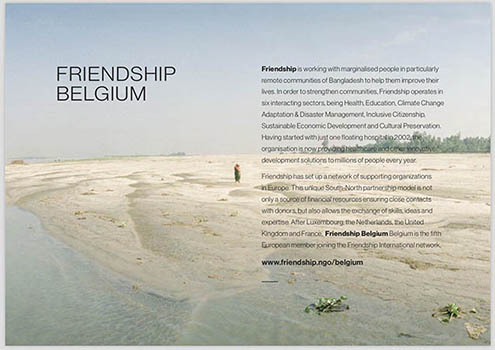 In an event hosted by Princess Esmeralda of Belgium for the launch of Friendship Belgium Yann Arthus Bertrand presented his film on Climate Change in Bangladesh and our images of the chars were presented in a side exhibition. 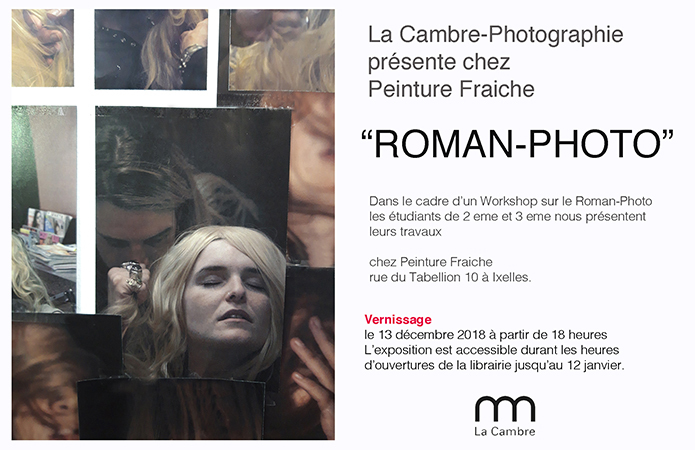 During a workshop at La Cambre School of Arts, I asked my students to create a double page for a foto-novel. The action had to take place in a hairdresser saloon. It resulted in an exhibition at Peinture Fraiche. On the web in Japan, my book One billion Indians was displayed in an interesting way, prompting ideas on how to photograph double pages or re-write images. I asked the students in year 3 at La Cambre School of Art in Brussels to invent a photo series inspired by the monopoly game. Photo Finish cameras scan objects that pass in front of them. These are usually used for sport events in order to identify the winner at the finish line. I decided to use this camera for images of a series of moving objects. In this case a train in the snow in Switzerland. The movement of the hand, the speed of rotation, the light, the objects photographs create images reminding music scores. What about reverting the process and start with music and decide to create images in reference, in a score mode, images done with the panorama mode of a cell phone. A guided Tour in honor of the NGO Friendship at the fantastic museum “Family of man ” in Luxembourg with Runa Khan and her father and all the staff. A support for an exemplary NGO based in Bangladesh that I follow with passion. Their work, the charisma of Ms Khan what they achieve is an extraordinary model. The two last exhibitions have generated some additional new medias supporting the style and the proximity I want to create with the viewer. Enclosed some examples.